YANGON — Visitors and residents in Myanmar’s commercial capital often find themselves enamored with the rich heritage architecture of downtown Yangon. The stately structures with grand facades, towering columns and repetitive arches give a sense of bygone years when the city was a thriving cosmopolitan hub of the east. Along wide and narrow streets and on prominent corners, extravagant homes, banks and private companies were built in styles of architecture from across the globe. After the nationalization of the economy in 1962, many of the buildings became property of the then-socialist government and were used mostly as government offices and courts until the new capital of Naypyitaw was established in 2006. Today many of these heritage buildings remain unused or underused government buildings or private homes which can only be observed from the street, often in a state of dilapidation. Some, like Yangon Excelsior located in the former Steel Bros headquarters, have been converted into luxury hotels that cost hundreds of dollars for a night. Gladly, a select few heritage buildings have been woken from a slumber of disuse to be revived as restaurants accessible to all. The Irrawaddy has chosen three restaurants in Yangon’s top heritage restorations where you can go to experience the historical value and a handsome aesthetics of these century-old treasures while filling up on delectable Asian cuisine. Burma Bistro, a contemporary Burmese restaurant and bar used to be an inn. Located on the second and third floor of a handsome, faded-yellow building on Merchant Road with a grand veranda edged by stately columns, the exact year of construction is not known but guessed to be at least one hundred years ago. 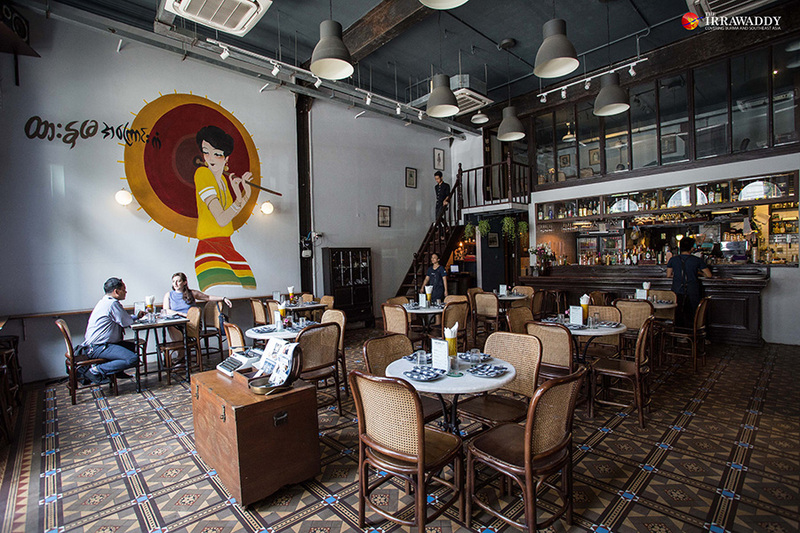 When developers approached the owners with a plan to buy the building, demolish and replace it with a high-rise office block, one of the tenants stepped in and opposed the sale, vowing to renovate and relaunch their section of it as a restaurant in order save the building and share the piece of heritage with the public. Today, mighty high ceilings and exposed brick walls house custom-made wooden and rattan furniture, local handmade textiles and an atmosphere of a Burma of the past. “We picked the name of the restaurant and had to register for a restaurant license and YCDC made noise about the name itself because of ‘Burma’. They didn’t accept it because they considered it a colonial name,” said co-owner Aye Thuzar Thant in describing the restoration process. From outside, the restaurant façade is inconspicuous among the other heritage buildings so some searching may be required, but the hustle and bustle of the street and approaching staircase are left behind once inside. 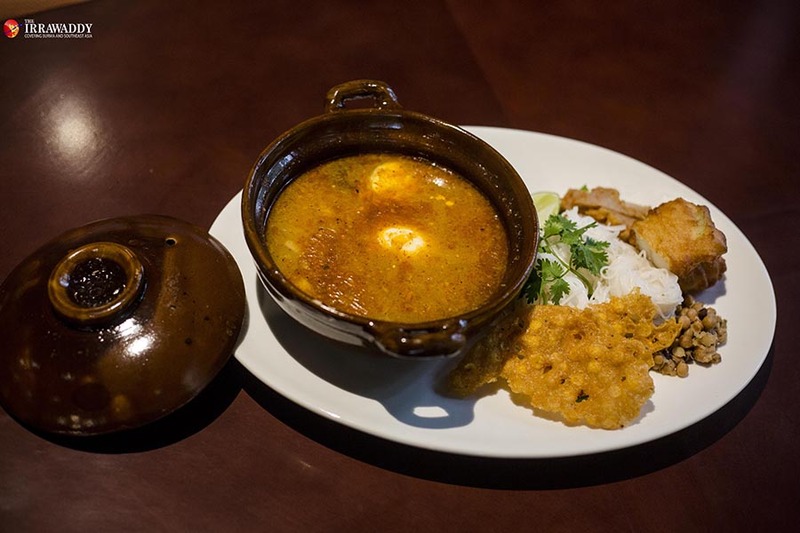 Burma Bistro’s menu is a carefully thought out and offers quality, genuine regional Burmese food with “healthy tweaks.” Though higher than prices in teashops, the food is still good value and the flavors incomparable. 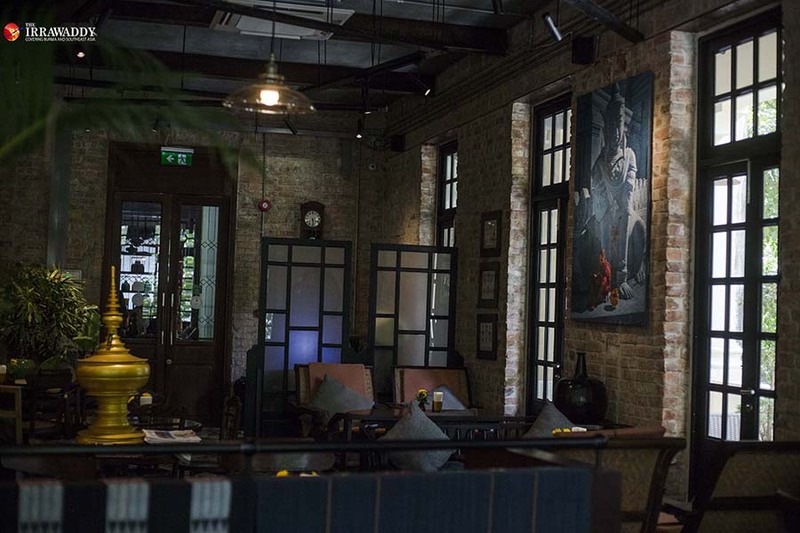 Gekko is the best option for those looking for Asian sophistication in a heritage setting. 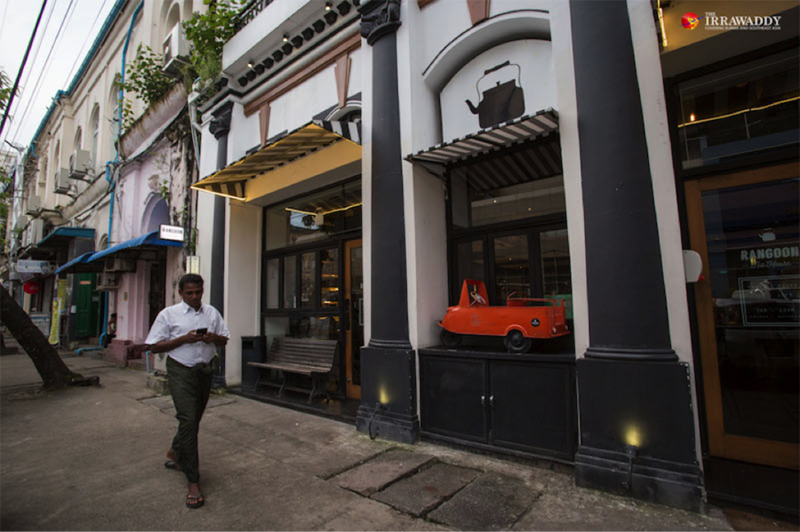 After a few months of restoration, the doors were opened in 2014 with Gekko being awarded Best Adaptive Reuse by Yangon Heritage Trust (YHT) earlier this year. This Japanese cocktail bar and restaurant is located in the 1906 Sofaer Building on the corner of Pansodan and Merchant roads which was originally a classy department store selling imported luxury goods like cigars and Scottish whiskey. “The floor tiles were covered in a thick layer of black and the walls were fitted with layers of fake walls. 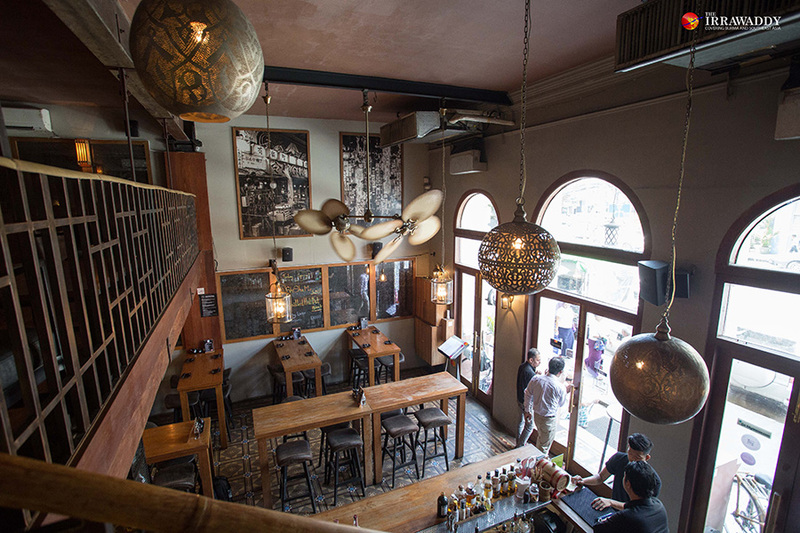 All the beautiful beams were covered in plaster, so basically we didn’t really know what we had until the cleaning process started,” said Nikki Barltrop, Chief Operating Officer of 57 Below, the company operating Gekko and a number of other top Yangon restaurants. 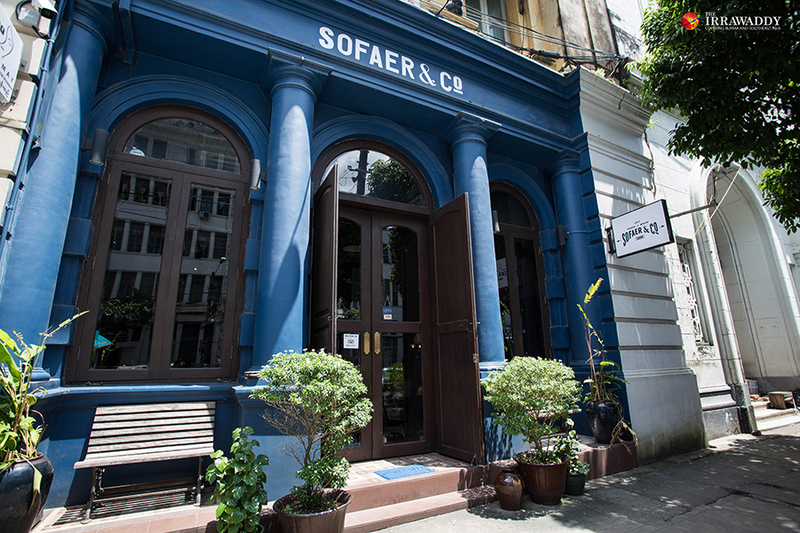 Sofaer & Co is located in the same building as Gekko but around the corner and proffers a totally different ambiance. For some years, this unit in the larger building was a general store selling dry goods but when the restauranteurs found it, it had become a neglected storage unit, hiding its historic charm from the public. Now a bright bistro-style restaurant, it was renovated in 2016 and opened last year retaining its century-old window and door frames, wooden wall paneling and bar. Today, at a round marble-top table, in wicker-backed chairs, you can sip a coffee with friends and feel just like the Yangonites of one hundred years ago. “A restoration project is more difficult than building everything from scratch. YHT supported us with the historical data for this place but we had to be careful not to [alter] the floors or drill into the wall. We had to add a modern kitchen and washroom without touching the structure,” said Ingyin Zaw, operating partner of Sofaer & Co. The menu here offers Asian-fusion food and comforting favorites like bún cha alongside fun twists on classics like the ‘grilled tealeaf smoked pork neck’ and a Western-style brunch menu was recently introduced. As conservation of heritage buildings can take many forms— from rehabilitation to preservation to reconstruction—there are a number of other quality restaurants in beautiful old structures around Yangon that have adopted a more modernizing approach to the restoration process. Rangoon Teahouse on Pansodan Street, widely regarded as one of the best Burmese restaurants in town, sports a fantastic art deco façade while the interiors are modern and chic. 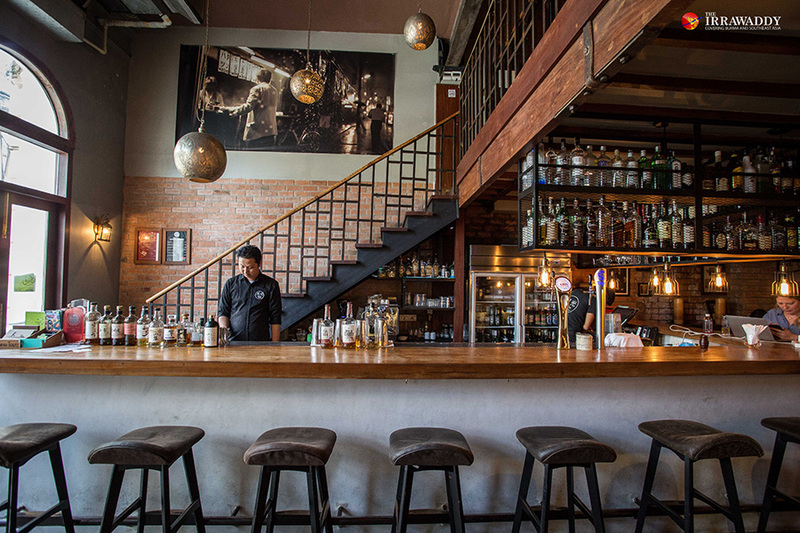 Next door, Sharky’s—one of the earliest artisan delicatessen and restaurants to open in Yangon—serves international fare in a modern restaurant set in an well-preserved heritage shell of exposed red brick walls, recessed arches and exposed beams.